‘Quinuituq’ is an Inuit word for the deep patience required to survive in the arctic, where the rhythm of life consists of long still-ness broken by sudden movement: ice hanging at the front of a glacier then crashing into the ocean; long, dark winters erupting into the brief summer feasting of migrant bird swarms; a hunter sitting silently over a fishing hole for hours before being rewarded by the struggle of a catch. Something similar occurs in Lochinver harbour. Not a lot happens for days on end, then a French or Spanish fishing boat comes in and suddenly there’s a queue of refrigerated lorries and a melee of hoses, fish boxes and engines. Likewise, over the winter, the hard-standing is full of idle, sheltering boats. The place is deserted until the first sunny days in spring, when out of the woodwork of Assynt come dozens of boat-people, up and down ladders, painting and polishing, fixing and mending, in a frenzy of readying vessels for the season. One by one, yachts and creel boats are launched back into the water. It’s all action, motion, voices, whiffs of anti-fouling and old diesel, the songs of hammers and drills and chains, good craic. Our boat, Each Mara, is among those still waiting to go back in. She has her mast off for re-rigging, so we’re taking advantage of that to renew all the electrical wiring and the VHF aerial that has never worked properly since we got her, and while we’re at it there are ropes that might as well be replaced: the topping lift, the foresail halyard. It’s chaos inside, she’s not at all ship-shape, but the birds are singing as we go at it. ‘Each Mara’ is Gaelic for walrus (literally horse of the sea), whose characteristic behaviour is perfectly arctic: long stretches of beach-lolling in a big, blubbery, communal heap until disturbance sends the whole herd into the water with an explosion of spray and splashing shock-waves. Five years ago, sailing in the Arctic, I hatched my plans for a novel trilogy in which the historically real Iron Age explorer, Pytheas the Greek, makes his way north to the arctic, encountering various fictional characters, including a young woman from Assynt, where we are pretty certain he visited. It also features a walrus hunter. The trilogy’s first volume bears his name. The launch of The Walrus Mutterer has perhaps not had the drama of a walrus stampede, but gratifyingly it does not seem to have gone unnoticed by the pinniped world. I set a key walrus scene in the book, after extensive research and ground-truthing, on Sanday in Orkney. As the book went to print, a walrus appeared in Scotland for the first time in years, and I was more than a bit excited that he chose to make landfall on precisely that northerly island. As the launch day approached, so did the walrus, making his way down to the Sutherland coast as if heading for Clachtoll, where the novel begins. There has been much banter on Facebook and sharing of video footage of the ‘old gentleman tooth-walker’. For me, it has been comforting confirmation that the Iron Age is in many ways still with us. Most historical fiction is really about now. It brings the past into the present in order to show just how the same things are still happening. People are driven by the same urges and passions as they have always been, pretty much, and sometimes a historical setting can cast those things into relief. I am interested in greed and why some people strive to have so much more than they need to survive. The Iron Age was the era when conspicuous over-consumption began. Individuals started to be buried alone, often with beloved possessions, rather than sharing communal resting places. Pytheas travelled to the ends of the known world in search of tin, amber and walrus ivory and he would have journeyed with traders in gems, metalwork and slaves, in order to find what he was seeking. I am intrigued both by the Celtic maritime society he would have encountered and by the fact that similar trafficking continues to this day. I suspect people have, for a very long time, been wondering how much stuff is enough, how much is too much, who should profit from it and whose stuff it is anyway. Looking into history is one way of trying to make sense of our lives and to explore questions that perplex us about our society, using a long time-frame to put the madness of today into perspective. In one of the other strands of my life I am (re)learning how to teach in Higher Education, after two decades out of the academic system. As part of my studies and reflections I was pointed to the fascinating contemplations of Abha Dawesar, an Indian novelist. She gives a TED talk (that present-day manifestation of the saying that we each get ten minutes of fame) in which she discusses that we need time in order to develop a sense of self. In particular, we need the long time-frame of a whole lifetime; our sense of self requires us to be able to see ourselves (and have others who know us) across the whole narrative arc of our lives. Yet the long view is not enough. We also need immersion in the present to give us the experiences that will define us. We need moments of full attention to feel like real people. Dawesar equates these moments of attention with love. The relationships that make us feel valued, that teach us who to be, that help us to learn and grow and become who we are, come from moments of loving attention. Dewasar then compares this loving attention with what she calls ‘the digital now’, where, with our handheld, ever-present devices, we are never-present, always clicking another link, continuously distracted from where we are in the physical world. We are distracted even from where we land, for an instant, in cyberspace, before blundering on. There is no flow of the immersive present in the digital world, just a series of leaping divergences. Being at the helm of a boat is the extreme opposite. There is nowhere else to go. Attention must be constant. I find this hard, but now I understand why we sailors become so smitten by the sea. When I’m not sailing, or writing, or teaching, I’m trying to save the world’s forests. I’ve been at this for decades and I’m afraid I have to confess that it’s not going well. If only the forestry industry focused on using trees for things with high social value, like books, voting papers and furniture. Instead, they are increasingly used for packaging and other things destined for a short trip to the rubbish bin. Even more worrying is the trending attempt to replace coal with wood for generation of electricity. As well as being no better in terms of climate change emissions this ‘biomass energy’ threatens the very forests we need for absorbing the dangerous levels of carbon in the atmosphere and giving us all the good things that grow on trees. Like books (and this magazine!). As if we needed proof that climate change means something other than ‘global warming’, the unseasonable cold easterly and northerly winds are delaying the onset of spring. I’ve lived in Assynt for nearly twenty years and never known the primroses, always the first wild flowers, to be so late to open. Neighbouring crofters with livestock are complaining about the lack of grass. The temperature has barely risen above five degrees and nothing grows. The ewes lack the milk to feed their lambs. Deer are causing devastation in woodlands. On the other hand, this means there is perhaps still time to get to some of the winter jobs that have remained undone while the other threads of life have unravelled from their spools. The rain and hail is washing the seaweed on the shore ready to be brought up onto the vegetable beds. The fruit bushes don’t look like they’d mind being pruned even this late. The grass isn’t growing, and that means the weeds, which are all wildflowers after all, aren’t either. The launch of The Walrus Mutterer was a blue-sky day. I had to abandon the boat work for a session with primary school children in a tipi by the fank on Stoer green, and a walk out to Clachtoll broch, which was excavated last year. The dig revealed a snapshot of Iron Age life, caught in the moments before a catastrophic fire destroyed the 13-metre-high tower. The assemblage of objects found inside include more than a dozen lamps (it was dark in that windowless space), a knocking-stone full of grain kernels in the process of being shelled, querns and bowls, loom-weights and spindle whorls. There’s a ringed copper pin and a fragment of pottery bearing an indentation that matches it perfectly. The archaeologists have shown us lives being lived in mundane quietness until the sudden onset of the fire caused them to flee the building, apparently dropping everything as they ran. After a sunny day at the broch, we adjourned to the Community Room for a night putting the story back into history, where I was ably abetted by Margaret Elphinstone and Ian Stephen. Margaret read from The Gathering Nights, a novel set even further back in time, in the Mesolithic era. Her spell-binding reading gave us a story of continuous ancestry, with the scenario of a child born into a family who needed to recognise her as the incarnation of someone who had lived before. Ian led us into the territory where reality and story blend, and we discussed how novelists may, indeed must, take liberties at the edges of what is known, or what is told. We create the story’s fabric from imaginative wefts woven on whatever warps we can find. This is also, of course, how we make our lives. It comes naturally. We weave or plait the many threads of ourselves together. Boat, croft, writing, activism, family; quiet times and busy ones; they all tie together in the end. Twelve or thirteen hours into the flight from Glasgow to Christchurch on New Zealand’s South Island the will to live starts to evaporate. It had taken seven hours to reach Dubai, through whose labyrinthine airport we marched to our gate as if to an appointment with an amateur dentist. Where were all these people going? Was there room in the sky to accommodate all these humungous planes? I had already watched several movies, hoping that it would help time fly by. Time did pass but not, alas, as fast as one might have liked. Several hours later I woke up, stiff-necked, dry-mouthed and red-eyed, and studied the flight plan. We were now some fifteen hours into the journey. Below was the Indian Ocean, or so we were led to believe, for all we could see was cloud. There was at least another ten hours to go, including a brief stopover in Sydney, before we reached our final destination. I recalled reading Pico Iyer’s Falling Off the Map, a series of essays about “some lonely places of the world”. Iyer got as far as Australia at which point he must have felt he had gone far enough. And who could blame him? From Sydney to Christchurch it was another three hours and more during which I would have been happy to bale out had a parachute been one of the perks. On arrival in New Zealand, however, what is so remarkable is the feeling of familiarity. Having travelled nearly 12,000 miles you might think that things would be distinctly different but they are not. The weather seemed similar to that which we’d left behind and the landscape, dotted with sheep and bright with yellow gorse, was a parody of our own borders hills. Meanwhile traffic kept to the left hand side of the road. Moreover, the towns we visited over the following days – Christchurch, Dunedin, Auckland – were redolent of the place we had just left. Dunedin in particular is Edinburgh writ small. One New Zealander told us how, after partaking of a few beers following an All Black triumph at Murrayfield, he had momentarily lost his bearings. Then he recalled that his home town had been laid out like Edinburgh’s New Town and thereafter had no trouble with orientation. Christchurch is the most anglicized of Aortearoa’s cities. It was founded as recently as 1850 and, at least until the earthquakes of 2010 and 2011, had a number of fine buildings dating to the early years of its birth. In February 2011, 185 people lost their lives and 6,600 were seriously injured. As historian Katie Pickles notes in Christchurch Ruptures, ‘The earthquakes have taken lives and homes and assaulted and destroyed senses of belonging’. Seven years on, Christchurch is still trying to recover from the aftershocks. Much of its centre lies bare, cars are few and people even fewer. Like sabbaths of yore in the Western Isles, there was, even on weekday mornings, an unnatural hush. Everyone seemed to talk in whispers and the shops cried out for customers. Had we not known better, we might have assumed that the population had decided to pack their bags and seek their fortunes elsewhere. Yet, as several people said, even before the earthquakes struck Christchurch was not the most raucous of towns. Dunedin, to which we travelled a few days later, wears its Scottish ancestry like a clansman does tartan. It was founded in 1846 by the Free Church of Scotland but its influence is now negligible. One of the city’s most famous landmarks is a statue of Robert Burns, erected in 1887. There are three others from the same cast in London, New York and Dundee. The Reverend Thomas Burns – his father was Gilbert Burns, the poet’s younger brother – was among the first Scottish settlers to arrive in Dunedin in 1848. He is revered still not only for his pioneering vigour and vision but for the value he put on education and reading. A legacy of this is the high number of students in the city, of whom there are around 20,000 in a total population of just over 120,000. Another is Dunedin’s status as a UNESCO City of Literature, which it was awarded in 2014. Yet another is the University of Otago’s Centre for Irish and Scottish Studies, which is run by the scholar and crime writer, Liam McIlvanney, and which regularly offers residencies to writers from the old country. And so to Auckland where there is an impressive annual book festival. Auckland is in the North Island and is the most populous of New Zealand’s cities. Its growth in recent decades has been dizzying and the festival has likewise burgeoned, deservedly so. It was not unusual, for example, to see its venue, Aotea Centre, attracting a crowd of 2,000, which may be normal for opera divas but can be disconcerting to humble authors. We spent five days in and around the festival, and were much taken by its warm vibe, cultural diversity and the sophistication and savvy of the audiences. It is not easy to attract writers to such far-flung places but Auckland’s energetic organizers do because when at last you touch down you are made to feel – thanks in no small part to a Maori welcome – that you are part of an extended family, and that for however long you are their guest you can be assured that you will be made to feel at home. There has never, to state the very obvious, been an easy time to pursue a writing career. But certain events in the past decade – the Great Recession, the onslaught of digital, the economic decline of print journalism – have made it harder still. We seem to have entered a world where Virginia Woolf’s room of one’s own is in danger of becoming most authors’ lifetime habitation. The idea of an aspiring ‘serious’ novelist, truly committed to his or her craft, being able to afford a small flat, let alone an imposing, persona-defining home, is increasingly improbable. Yet, once upon a time, Somerset Maugham had the Villa Mauresque in Cap Ferrat, Edith Wharton had the Mount in Massachusetts, and Walter Scott, of course, had Abbotsford. Literary writers all – it scarcely seems believable. Perhaps the last great author’s home/artistic salon was ‘La Rondinaia’, Gore Vidal’s villa in Ravello, on the Amalfi Coast. Clinging to a cliff face, two hundred metres above the Mediterranean, La Rondinaia (‘The Swallow’s Nest’) was built in 1925 and bought by Vidal in 1972. He sold it in 2006 and, though it’s firmly closed to the public, I was lucky enough to get the chance to wander around it not so long ago. Even in its current, neglected state, it’s an astonishing place and reflects his personality in ways he perhaps never quite intended. I first became aware of Vidal when I saw him being interviewed on television by Clive James in the early 1990s. The aging heartthrob appearance and patrician drawl made their customary impression. But it was what he said that really captured my attention. He spoke about wealth inequality and the deformation of politics by corporate greed. He predicted a significant increase in tensions between the Muslim world and the West. He dismissed US Presidential elections as meaningless, disputatious carnivals in which the two candidates were funded by the same elite interests and represented merely different wings of a single ‘property party’. This was all heady stuff to a naive Ayrshire teenager. Even at the time, I noticed that TV critics who reviewed the interview scolded him for being so cynical. Yet everything he said has since entered the mainstream political dialogue and seems like plain commonsense. What strikes me now is not so much his prescience as his guts. He said what he thought and didn’t care whom he annoyed. I can’t say I went on to read everything he wrote, but I read a good deal, in particular the essay collection, United States, and the memoir, Palimpsest. I even met him, albeit very briefly, at the Edinburgh Book Festival. Given his waspish reputation, I was incredibly nervous, but what struck me was how patient he was with those of us in the signing queue, paying close attention to our babbled remarks. Unlike many acclaimed authors, he seemed not to have lost the ability to listen. Though I continued to follow his media appearances into his seventies and eighties, I watched with sadness as too much booze caused the prescient scepticism to degenerate into hectoring paranoia. When he died, in 2012, I despaired of the media obituaries, most of which portrayed him as a camp purveyor of bitchy put-downs. But it had also occurred to me for some time that he was, at heart, a rather old-fashioned person, whose reputation for coldness derived in part from his belief that the public sphere was the place for reasoned argument and nothing else. In an era when effusive, emotional ‘sincerity’ was prized above all else – even when concealing absolute vacuity – he was bound to end up out of step. And then I found myself in Amalfi, on a package holiday with my wife. Having done some research in advance, I contacted local hotelier, Vincenzo Palumbo, the current owner of La Rondinaia, and, via a mixture of dogged persistence and rudimentary Italian, managed to tag along while he showed the property to some rich Americans he was courting as investors. Having assembled with the others in the main square of Ravello, my wife and I set off on a route that I’d read about in numerous profiles of the great man: through the discreet iron gate then along a cliff-side path, shaded by drooping wisteria and overgrown with chestnut trees, their fallen husks crunching underfoot. Citrus groves and a small vineyard, bordered by swaying cypress trees, shelved away steeply. Far below lay the Gulf of Salerno. Mingled scents of rosemary, lavender and thyme filled the air. We followed steps down to a pool area (the pool itself drained to reveal its startling, dark blue tiles) and finally arrived at the graceful entrance, where a statue of the Virgin Mary clasped its hands in an alcove above the door. Inside, the house appeared slightly smaller at first than I’d expected from seeing it in various documentaries (a judiciously chosen camera lens can turn a small tiled bathroom into the Palace of Mirrors at Versailles). But it was deceptive, following the classical Roman layout, whereby numerous unsuspected rooms fan out from narrow corridors. And the architectural details didn’t disappoint: barrel-vaulted ceilings, elegant archways, terracotta tiled floors, Tufa stone fireplaces. On the dining room wall hung a first century AD mosaic of a hippocampus, which must be worth an absolute fortune and would, in any country other than Italy, have long since been sequestered in a museum. Beautiful as all this was, though, the rooms lay empty. The only exception was the study, still crammed with Vidal’s possessions, in the half-hearted intention of turning it into a museum. Copies of his books, some rain damaged, filled the shelves and several bottles of booze were on display on his writing desk, alongside a portable Olivetti. A portrait (the same one that appeared on the cover of Time magazine in 1976) was propped against the fireplace. Elsewhere, there was tarpaulin over some of the windows, and bare wires hanging down the walls. Scaffolding covered parts of the façade and canvas sacks of debris were dotted around the place, along with an idle cement mixer. It seemed as if Palumbo’s dream of turning the place into a luxury boutique hotel and spa had long since foundered. But, in spite of the emptiness and general dilapidation, nothing could diminish the views. Standing on the smallest balcony, looking out at the heat-soldered sea and sky, you felt as if you were in an opera box suspended above an infinity of blue. To the south-east, towards Paestum, the rocky, precipitous coastline was lost in a haze of antiquity – Magna Graecia. Our tour over, we returned to the town’s main square. Palumbo had the preoccupied, disconsolate look of a man who knew that he had, from a commercial viewpoint, bought a lemon – an Amalfi lemon, the best kind, but a lemon none the less. Who knows if the rich Americans (who serenely ignored our presence throughout the tour) made an offer to invest in La Rondinaia as a hotel. But I do know that Palumbo has since put it on sale again for twenty million dollars, so I suspect not. In a two-part essay originally written for Partisan Review, Arthur Koestler meditated on the origins of ‘The Intelligentsia’. It was typical Koestler, a mixture of windy science and visionary percipience. In the first part, he speculates on the nature of brain cells: were they ordinary body cells that over evolutionary time had become sensitized and specialized? Or was brain matter fundamental and our outer bodies simply a toughened sheath made of degraded neurological cells? This was, of course, a metaphorical way of looking at the origins and role of an intelligentsia in modern society. Either we were all intelligentsia once, in some golden age, before most of us were sidelined into leaden social roles; or societies found a way of sensitizing some of their citizens and privileging them with the role of thinker and improver. As Ralph E. Matlaw has noted, the term ‘intelligentsia’ carries ‘greater ethical implications’ than the term ‘intellectual’. 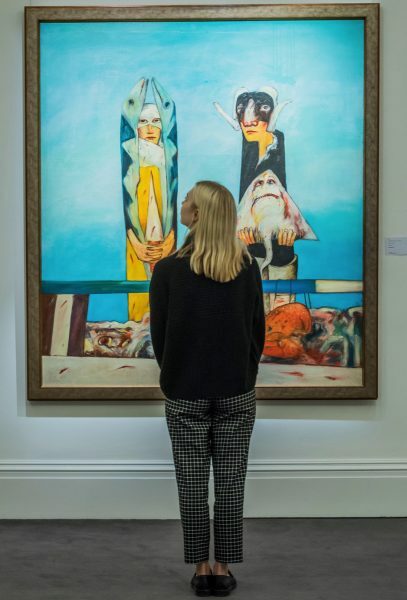 In keeping with the didacticism that always lies at the heart of Russian culture, but which we continue to blame on the ‘command’ culture of the Soviet era, thinking and art are always directed towards change in some degree, whether in society at large or in the individual. Matlaw also points out that in the Russian context, and before ‘intelligentsia’ was appropriated internationally as a term, admiring or sneering, for the chattering class, there was another, more socially specific, word in use. Raznochintsy simply means ‘people of different classes’ and refers to those who have managed to detach themselves from humble origins in order to pursue aspirational careers. Many of these people joined the intelligentsia. What has this to do with Ivan Turgenev, whose bicentenary is celebrated this year? The life didn’t start humbly. His father was a nobleman, who had faced down Napoleon’s Grande Armée in the Patriotic War of 1812. Turgenev himself never married but contented himself among his female serfs before falling in life with the opera singer Pauline Viardot. By then, Turgenev was an international figure, living in Baden-Baden and Paris, accepting an honorary degree at Oxford. He was the model of what Western readers and fellow-writers expected of a Russian novelist. Ernest Hemingway knew enough of him – he’d probably read the Constance Garnett translation – to pinch The Torrents of Spring as a title. Nabokov loved the prose, but hated the clunky endings. Henry James and Joseph Conrad admired him. His closest literary friend was Gustave Flaubert, himself the paradigm of what we now expect the novelist to be. And yet, much as in music, hierarchies of taste shift. Where once Beethoven was considered without much dissent to stand at the pinnacle of classical composition, now it’s Mozart’s more playful and improvisational style that heads the roster. In the same way, Turgenev’s reputation has ceded in recent times to that of Dostoevsky and Tolstoy. Turgenev quarrelled with the latter, but made up with him on his deathbed and pled with him to return to literature. Dostoevsky caricatured Turgenev in The Devils as Karmazinov, a vain poseur living off his reputation. A straw poll of friends and students suggests that Turgenev is not so much read now, which seems a pity. The novella First Love, published in 1860, is one of the greatest love stories of all time, but also a brilliant illustration of the principle most clearly aired by Philip Roth that everything that is processed by memory is fiction; or, that fiction is simply what is processed by memory. This is overwhelmingly true in Turgenev’s case. The memory that drove First Love, the carefully framed story of how 16-year-old Vladimir Petrovich fell in love with 21-year-old Zinaida Alexandrovna Zasyekina after meeting her at a party, was a memory from his own past, sharpened by the knowledge that the girl the young Ivan had fallen for turned out to be his father’s mistress. Not much that Turgenev wrote was without some autobiographical element. The secret to his greatness is that, as Belinsky noted, he had no imagination. Turgenev saw, and he wrote. The sharp decline in his later work, and notably in the ambitious but hollow Virgin Soil (which saw him well on his way to becoming Karmazinov), was due to his distance from his subject matter. Living abroad meant that Turgenev had no feel for the Populists he tried to portray, while in the ‘Nihilist’ Bazarov, the central character of Fathers and Sons, he knew his man from the inside out and was able to apply the ‘secret psychology’ he believed was essential to the novelist: the ability to understand the inner workings of an individual without writing about them. Turgenev was a superficial writer. He wrote about behaviour and he carefully transcribed dialogue. He doesn’t give us much of a character’s inner world, and yet we know his finest characters with a special intimacy. What has this in turn to do with Koestler’s para-science? Turgenev seems to have thought in similar terms. Some of his characters appear to have acquired a sensitivity to the world and its ills through experience. Some, and perhaps notoriously Bazarov, seem to hide their feelings and the roots of their beliefs behind an ‘armour’ of studied physicality. It’s perhaps no coincidence that Koestler was writing when the sexological theories of Wilhelm Reich were also becoming fashionable. Reich’s concept of ‘body armour’ and the socialized ego often seems relevant to Turgenev’s characters. But so too is the sense that intellect and feeling must also have some deeper ethical dimension. There is a certain consensus now that, while First Love is his most beautiful story and best reflects his mastery of the novella, Fathers and Sons is by far the finest of his novels. The early Rudin and A Nest of Gentlefolk have their virtues, which are broadly the same virtues to be found in the short pieces that make up A Sportsman’s Sketches, but they do not have the remarkable structural integrity of the 1862 novel. They also present problems of translation that have never quite been overcome. Ralph Matlaw’s revision of the Constance Garnett Fathers and Sons delivers that book in almost ideal form, even if the title really ought to be Fathers and Children. It is a book dominated by a single character. Yevgeny Vasilevich Bazarov is a hugely controversial character. Friends who saw the manuscript begged Turgenev not to publish, convinced that Bazarov (who was based on a doctor Turgenev met on a train) would be misconstrued as an assault on the young, or worse still, that Turgenev would be accused of throwing in his lot with ‘nihilism’. He didn’t invent the term, but he gave it currency. Far from having a sensitive core, Bazarov presents himself as the ultimate empiricist, disbelieving in all abstraction, sentiment, love, art and beauty – it’s hard to believe that Hemingway didn’t get as far as Fathers and Sons, too – and trusting only in science and dissection. It is in the end dissection that kills him, a rampant sepsis contracted while helping his old father with a rural autopsy. Surprisingly few commentators dwell on the appropriateness and/or irony of that fate, preferring to consider the deathbed scene and curiously fudged ending that follows it. A straw poll of friends and students suggests that Turgenev is not so much read now, which seems a pity. Turgenev laboured hard and long to thwart any conclusion about his loyalty or otherwise to Bazarov, or his feelings about the fathers’ generation. He admitted to correspondents that he was instinctively of Bazarov’s party, in believing that the timid reforms that were slowly changing the nature of serfdom were insufficient. Bazarov is the first Bolshevik. We admire and distrust him equally because of that hindsight, but we are fascinated by him because he is a man whose denials of an inner life make us all the more convinced that emotion roils within him. By contrast, his friend and would-be disciple Arkady seems almost wilfully one-dimensional, a hostage to the last book he read or the last charismatic person encountered. For all its understandable reputation as a tract about the conflict between a new and an older Russia, Fathers and Sons is a delicate web of love stories, a comedy of manners played out with the utmost delicacy and control. Arkady’s father, a liberal landowner on a small scale, has taken his late housekeeper’s daughter as a mistress and has had a child by her. Fenechka is also (secretly) loved by Arkady’s uncle, a marvellous creation who believes himself to be of aristocratic rank and who ends his life in exile, as a sad boulevardier. Bazarov’s surgeon father knows himself to be out of touch with the modern world and compensates for that by committing himself to the twin cults of Orthodoxy and his own son. A book that is supposedly about the tension between generations is very much about the effects of love between the generations. This extends in surprising directions. The illegitimate child Nikolai Petrovich Kirsanov has with Fenechka is an object of profound love as well as a living symbol of the distance between the classes. Nikolai’s brother Pavel Petrovich buries his affections deeply until gallantry dictates that he fight a duel with Bazarov after he witnesses the young nihilist forcing a kiss on Fenechka. All this is done with operatic indifference to probability but with decidedly un-operatic economy. The two young men are both attracted to the wealthy widow Anna Sergevna Odintsova, who like several of the modern women in the book are often referred to in the male form of their names, as if that boundary has also been breached. Bazarov declares his love, but Odintsov either judges that a man who denies poetry probably has no heart, or senses that there is something dead in herself. Arkady, meanwhile, very wisely switches his intentions to Odintsov’s young sister and promptly marries her. Bazarov’s fate is less happy. The representative of the future has to make do with a fleeting visit from his putative beloved and then a tatty grave. All that Turgenev has left for us is the poignancy of the parents’ grief – their future has been abruptly torn away – and a rather pious conclusion about the eternal nature of …nature. But with Turgenev, we are more inclined to trust the tale rather than the teller. The pro forma ending doesn’t in any way dull the profundity of his analysis of human relations. His conclusion, which is an attractively modern (even modernist) one is that the only emancipation that counts is not the emancipation of a class but emancipation of the heart. The hostile reception Fathers and Sons received prompted Turgenev to leave Russia. Being his country’s foremost cultural representative in the West was a role that suited him, but it cut him off from his subject matter and unquestionably harmed him as a writer. Smoke, which he completed in 1867, was a novel of exile. Set in Baden-Baden, where he had gone to be near Pauline Viardot, but also a favourite resort of disgruntled Russian gentry alarmed at the turns their country was taking, it is another complicated love story interwoven with a series of ‘condition of Russia’ set-pieces. It sparked a row with Dostoevsky, who disliked it and found Turgenev himself absurd. He lived on, absurd or not, until 1883. His birth and death dates match to the year those of Karl Marx, another great prose stylist and controversialist, who is fated to be more written about than read. When he lay dying, in fierce agonies from the cancerous abscess that was attacking his upper vertebrae, Turgenev threw an inkwell at his lover Pauline Viardot. It may well just have been a sick man lashing out, but Turgenev never forget anything that he had seen or read, and the gesture immediately recalls the moment when Marx’s second most important intellectual forebear Martin Luther flung his inkwell at the Devil. For Turgenev, not woman, but the love she commanded was the very devil. Throwing ink at the problem never quite made it go away, but it resulted in some of the finest writing of the age. In William Atkin’s The Moor, a heady brew of literary criticism, topography and nature writing, our attention was directed to that most enigmatic and evocative of landscapes. It is a stark place – clean-lined, curving, emptied of landmarks – the perfectly bleak backdrop of that classic work of inner-wilderness, Wuthering Heights. Atkin’s walking and writing took in Bodmin Moor, Exmoor, Dartmoor and the North York Moors, but bafflingly stopped short ‘at the Scottish border – for there the island moors became a moorland sea; and because it was necessary to stop somewhere’. It was Atkin’s prerogative to set his own parameters, but I could not understand how a self-proclaimed moorland fanatic could pass up the opportunity to explore those endless, undulating uplands of the north: the sweeping panoramas of Rannoch Moor, the dense tapestry of heather and thatch and glittering pools of the Flow Country, the winding roads of Harris, lined on either side by the blackslash contours of freshly cut peat. All the better then, now, to be shown around by Donald S Murray, the Scottish poet and author of Herring Tales, who grew up in Ness, on the Isle of Lewis, and has bathed in peaty water, literally and culturally, since birth. In The Dark Stuff: Stories from the Peatlands, Murray explores how the people of the moors have interacted with and been shaped by their environment, starting with his own experiences: long summers reluctantly spent cutting fuel with his father; a childhood of scrambling over hags hairy with dead grasses, playing on ‘possibly the only football pitch with a surface of bare and dusty peat’. As a teenager Murray found the monotone landscape dull and deadening, but over time and through the work of Iain Crichton Smith, George Mackay Brown and others, he came to acquire a taste for the particular flavour of desolate beauty he depicts so well in The Dark Stuff. A depth of appreciation comes with familiarity: his father, he says, could shut his eyes and know the exact moment the car crossed the town boundary at Stornoway, when the distinctive aroma of peat smoke switched to that of coal, and with it the urban world of pavements, shops and the English language. The richness and precision of the Gaelic’s descriptive language has been noted before: Robert Macfarlane, in Landmarks, highlighted the work of Finlay MacLeod and friends in the creation of a ‘peat glossary’ of Lewissian words. The beauty of these glossaries, I find, lies not so much in the words themselves as in the act of noticing, the necessity of making fine distinctions. Non-moor-dwellers may too be gratified to learn of the different gradations of the peat bank made by those who cut them. The top layer, pillowy with spaghnum and dry grasses, is simply ‘turf’. The next layer, white peat (mòine bhàn) is matted with roots, ‘suitable only for smoke and rarely for flame’. Finally, in the depths below the surface, the good black peat (mòine dhubh), rich and dense, almost edible – the consistency of chocolate brownie which dries to a hard cake for the fire. But bogland is not unique to Scotland, and Murray seeks to move his narrative beyond the hyperlocal. He demarcates the book via chapters titled in an assortment of peatland languages, taking in Irish Gaelic, Danish, Finnish, Dutch and Icelandic (although, confusingly, the origin of the title bears no relation to where the chapter itself is set). As he journeys to the Netherlands, Denmark, Ireland and Germany, patterns emerge: the universal perception of moorland as the ‘province of peat and poor people’ – where occupants were often judged by outsiders for their lack of fortitude in draining and converting to more productive farmland. In Ireland, efforts to dig out the peat in ever greater quantity were laced with nationalist sentiment. During the Second World War, when coal supplies from England were interrupted, the large-scale harvesting of peat began in earnest, and with it came pride in self-sufficiency. Those efforts have left their own landscape, a scarred one. Murray visits the Irish Midlands, large areas of which were stripped of fuel in the twentieth century and now been left to recover, dug with trenches and left ‘the dull, khaki brown of a First World War battlefield’. The emptiness and flatness of the peatlands there took on the appearance of ‘the sea with the tide having gone out’. More than once, Murray turns to maritime imagery to evoke the rolling aspect of moorland and its impact upon the human psyche. He likens the low hill behind his childhood home to Hokusai’s ‘The Wave’, and tells of occasions when he ‘might roll and reel, as if I were on a sea voyage’, toppling into dark pools shining with a petrol iridescence. In Ireland he visits a house sitting upon an island-like hill, surrounded by ‘a sea’ of peatland which recedes with every year, rolling back like a tide. And as with the ocean, the peatland dwarves the onlooker. On a good day, it might thrill and astound. But in adverse conditions, one is easily lost in an endless expanse without landmark. It is a wilderness, in its more traditional sense: an uninhabited, inhospitable region. Where the peat has been loosened from its moorings by poor management, then heavy rain, a dark avalanche can rush from the hillside – ‘a flood of blackness’ engulfing all that lies in its path and leaving a flayed landscape in its wake. The moor can appear empty, barren, but it has as many layers of history as it does peat. Murray meets a botanist who tells him of the cold store of pollen in its depths: a continuous record of climate and environmental change for thousands of years. An encyclopedia of life, for those who take the time to translate it. Dark episodes of human history too lie preserved under a blanket of moss; bog bodies emerge centuries later: Celtic kings, ritually sacrificed, and victims of countless unprosecuted crimes. The desolate moorland ‘wastelands’ were home to some of the most distasteful episodes of European history. In the Netherlands, the cheap and plentiful land provided a accommodation for the least fortunate of society – although in time they became more akin to penal colonies, casting the poor adrift in a desolate landscape. In Germany, they were home to concentration camps: at Belsen, mass graves are shrouded with the heather of Lüneburg Heath; Dachau and Auschwitz too were built upon marsh and moss. There is much then, in the story of the bog, to write of. To do so is to follow in the footsteps of literary giants. Murray writes of Seamus Heaney (‘the poet laureate of peat’) repeatedly, and tackles similar subject matter. It is hard to do so without provoking comparison. Murray is a poet himself, and the book is studded with verses in the key of peat: the strongest, to my eyes, is ‘Curlew’, which describes childhood ball games on the moor, the bird’s ‘rippling note’ calling matches to a close as twilight falls. Heaney has the more expressive take on Denmark’s Tollund Man; here, as in other spots, Murray devotes too much space to descriptions of the museums he visits along the way. Occasionally he lapses into the mannerisms of the local historian, quoting at length from websites, or making footnoted asides of Highland trivia. Liberal usage of qualifying language – ‘apparently’, ‘perhaps,’ ‘probably’ – lends his writing the gossipy, hand-me-down taste of oral history, although this tic also contributes to the islander lilt that gives the book its charm. For Murray is very much a product of his upbringing. He cannot help but compare what he finds abroad to what he knows so well. The purplish tone of land near Aarhus reminds him of ‘the bloom of heather on the Scottish moors during August’; whereas Lüneburg is ‘too tame, timid and denatured’ to attract his admiration. In his eyes it cannot compare to the moors of Lewis and Harris and Uist and Benbecula. Let us return, then, to that landscape of beaten metal. Descriptive passages of the Highlands and islands are where Murray’s writing soars to its highest heights. In one memorable passage, he drives to Sutherland – ‘long miles of emptiness… the deep coffee-shaded grey or red of moorland changing with the light of day’ – where herds of deer ‘hang out like gangs of shy and inscrutable teenagers at every corner’. It is stark, striking, recognisable. This book is a love letter to a homeland, barren and beautiful both.